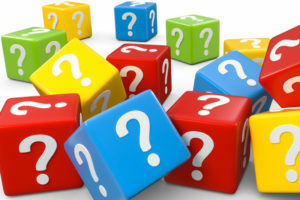 We know that new things are often hard to understand so we’ve compiled a list of the most frequently asked questions and answers to make it easy. I want to help animals. How can I help? You’ve come to the right place. Doobert empowers awesome volunteers and connects them with animal rescues and shelters seeking help. When you click “I want to sign-up,” we’ll walk you through the various ways you can help and get you going quickly so you can save animals. I need my pet transported. Can you help? Doobert is a software platform to connect the volunteer drivers and pilots to approved rescues and shelters, to safely transport animals in bad situations. How much does Doobert cost? Doobert is free to use and costs nothing for you to sign-up, volunteer and help animals. We’re happy to power your passion for animals! Does Doobert only work in the U.S.? Today Doobert works in the United States and Canada, but we’re always looking for opportunities to expand. If you’re from another country and want to have us expand Doobert to help support your animal rescue efforts, shoot us a message using the Help/Support button and we’d be glad to work with you. What exactly IS a Doobert? Doobert was a very special cat and an inspiration to his owners. You can read more about the story of Doobert on the What is a Doobert? page. Funds received by Doobert are reinvested into the company to allow for development of additional software functions and capabilities to further our support of animal rescues. Doobert is not structured as a charity organization, but IS operated in a not-for-profit manner. Doobert operates as a social enterprise. A social enterprise is a revenue-generating business with primarily social objectives whose surpluses are reinvested for that purpose in the business or in the community, rather than being driven by the need to deliver profit to shareholders and owners. Simply click “I’d like to sign up!” on the home page, and fill in your information along with how you would like to volunteer. Next, create a profile for each of your volunteer activities. You will receive a welcome email that explains the next steps. Do I get paid / reimbursed for gas? Doobert volunteers are passionate people volunteering their time and equipment to help animals in need. Doobert provides the technology to bring animal rescues and shelters together with volunteers, but it is not in a position to reimburse for out-of-pocket expenses. Do I need a crate or other equipment? The answer is “it depends.” Each transport is unique. Generally, volunteers provide their own crates, although sometimes (less frequently) rescues provide the crates. Cats and puppies must always be crated, and no animal should ever ride in a driver’s lap. Animals too big for crates can be tethered to back-seat seatbelts. Each Doobert request-form lists animal specifics, and you are encouraged to ask the transport coordinator additional questions. Additionally, we recommend building a “transport kit” so you have frequently used items at your fingertips. How will I be notified if I am needed? When you sign-up with Doobert we utilize your zip code, day(s) of the week that you’re available and radius from your zip code to determine if transports and other volunteer opportunities are a match for you. Then we send you an email giving you the chance to “opt-in” to help. If a particular opportunity doesn’t work with your schedule, simply ignore the email and wait for the next opportunity. What happens if the leg before me doesn't get filled? Since each transport is unique, we recommend reach out to the Transport Coordinator, they are responsible for making sure the transport is filled and all legs are covered. My schedule changes often. Can I still help? Of course! Doobert is designed so that YOU can modify and maintain your profile. Schedule changed? No problem. Just update the day(s) of the week that you’re available and the system will automatically take your updated schedule into account. Can I include my kids, dog, friends, etc.? Every transport or foster situation is unique. We recommend NOT bringing other animals on a transport and that you ensure you are supervising children closely. Remember that transports involve rescued animals who are often nervous due to the unfamiliar people, places and sounds. When fostering, it’s important to work with the requesting organization to ensure a proper fit. Some foster animals do not get along with other animals or children so always be sure you understand the specific situation. Does my local rescue or shelter use Doobert? Great question! If not, we would love them to! If you don’t see your favorite rescue or shelter listed on our Doobert Organization Map please let them know about Doobert. Transporter – Transportation plays a huge role in saving animals. As a transporter, you will help move animals to locations where they are more likely to get adopted, remove them from an overcrowded shelter, deliver them to a foster or forever home or take them to see a vet. Once an organization submits a route that goes through your area, you’ll be notified by email. As most of the trips are long distance, you can sign up to drive or fly one or more legs. A leg is usually 50-60 miles. Transport Coordinator – If you love animals, like working with people and are organized, this job might be for you. You’ll be responsible for helping rescues, shelters and volunteers coordinate long-distance transports. Although there is a learning curve, we have all the training, information, and support you’ll need to be a successful. Foster Home – Organizations utilize fosters to house animals that won’t do well in a shelter environment, reducing overcrowding or helping animals with special needs. Fosters are also needed to provide a place for overnight stays during long transports. If you have the room in your home, room in your heart and the time, please consider being a foster. Photographer – A good image can make all the difference in animal adoption. Photographers should have a love of animals, a good eye and access to (and a working knowledge of) both adjustable cameras and Photoshop. Shelters need committed photographers (that is, available on an ongoing basis) who work well with other volunteers and are willing to work with all breeds of cats and dogs. Due to the time-sensitive nature of the work, they must be able to process and upload the images under tight deadlines. For more good information on practical canine behavior, check out this page: http://givesmiles.us. Does Doobert do more than transport? Absolutely! 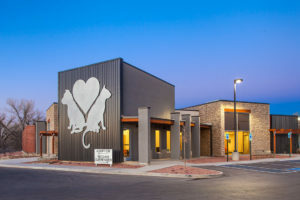 In addition to being the ONLY system custom-built to help with transport, Doobert connects organizations with photographers, foster homes and even lost pet support volunteers. Doobert also helps organizations raise funds for rescue operations through its Fundraising module and online Rescue Store (that’s where you can sell your stuff, with proceeds going to your PayPal account)! And, we have SO much more coming! Can you help find source/destination partners? Yes! Doobert can help you find other organizations to partner with. You can even see which animals an organization is willing to transfer. Sign-up your organization and then click “FIND PARTNER ORGANIZATIONS” on your dashboard. Do you check your volunteers? There are two levels of volunteers on Doobert. Un-verified and Doobert Verified. Unverified Volunteers – When a volunteer sets up a profile they are an un-verified volunteer but can still receive volunteer & transport requests. We do not restrict them but make it clear to you as the organization whether they are Doobert verified or not. Our perspective is: each organization should be allowed to choose the level of screening and checking required rather than unilaterally applying a standard. Doobert Verified Volunteers – If volunteers want, they can apply for Doobert Verified status. Our application process allows us to verify who they say they are and check references accordingly. Additionally, we conduct public record searches to look for red flags (animal abuse, fraud etc.) We use the Driver’s License and birth date to verify that the volunteer is over 18 and to verify our public record search. We do not do full background checks. All of the information provided in the Doobert Verified process is kept internal and we only indicate verified or not verified on the users’ profile. Do we have to be a 501(c)(3)? No is the short answer. We recognize that not every reputable animal welfare organization will qualify as an IRS 501(c)(3) public charity, so this is not required. We make it easy for organizations and volunteers to see whether a Doobert org is a 501(c)(3) or not, so that they can choose who they would like to work with. Why do you require an application / approval? Doobert was designed BY animal rescuers FOR animal rescuers. We are passionate about providing the technology and resources that animal rescue, animal shelter and other types of animal welfare organizations need. 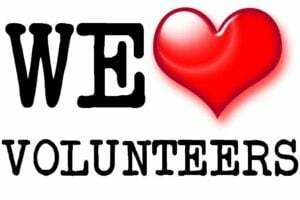 In order to ensure that our volunteers are only receiving requests from “real” organizations. How can I tell if a volunteer has been verified? If you see the image greyed out then they’re not Doobert verified. We re-verify people on an annual basis to try and keep Doobert as safe as possible. No problem! Simply click the Help/Support button down in the bottom right corner and we’ll get back to you right away!